It is so easy to get wrapped up in our own little world that we become completely oblivious to those around us. Everything is about my schedule and my time - Oh wait, you have things to do to? Yeah, we all do. And it's so easy to forget that there are billions of other souls out there on the planet with a to-do list, or a list of needs or wants or things, as well. In our American culture it is far too easy to become self-absorbed, or activity-absorbed, or what have you, and then to never give a second glance to the homeless down the block, to the charities and children in poverty around the world asking for a sponsor, or food for the next day, or shoes to prevent hurting feet. Why isn't caring for the least of these a priority for us, for our culture? Why do we so often feel the need to give in to what society tells us we need - a nice house, nice things, a nice job, nice pets - and ignore the fact that there are others, even right before our own eyes, who would give anything to have what we have? To have a day without poverty, a day without need, a day without longing - a day to be made whole. If you have lived in any area that has been struck by natural disaster in our country - hurricanes, tornadoes, etc - then you may know just a bit of this feeling. Believe me, I still don't, even though you think I might or should. My family was in Houston when Hurricane Ike hit in 2008, and we fled to Dallas. Schools and businesses and lives were shut down for 2 weeks, while we waited for everything to go back to normal. And it did, but much of that is because we live in a developed country. What about those underdeveloped, would they be able to bounce back as eagerly or quickly or easily as the Gulf has in past hurricanes? I'm not so sure. All of this to say that I began to blog for Compassion. And there is a dire need, and we need your help. We need prayer and eager hearts. There is an urgent need, for the Philippines was hit. Super Typhoon Haiyan hit last week causing much destruction and devastation. 25 million people were in its path. Lives were lost, livelihood and all things familiar were lost. News agencies report that Haiyan was three and a half times more powerful than Hurricane Katrina (remember that? I sure do) and upwards of 10,000 men, women, and children are feared dead. Devastating, terrifying numbers. It's not so easy to bounce back from that..
How much do we really take for granted here in the states? 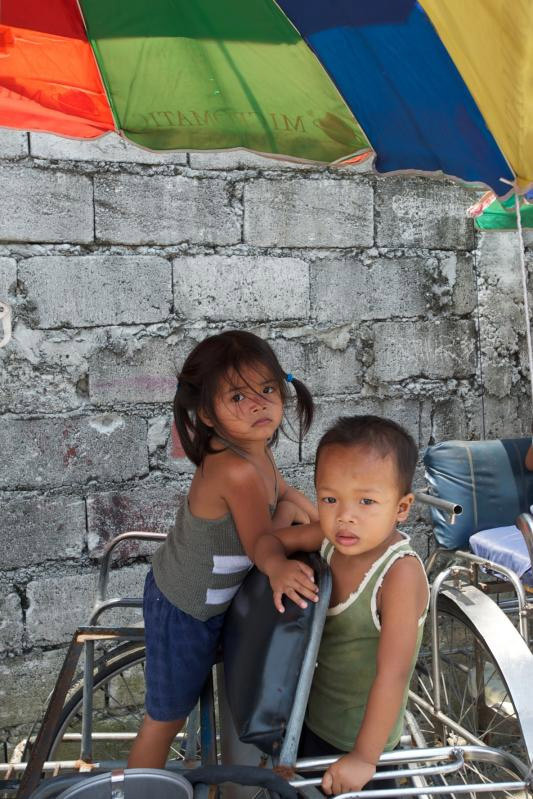 Compassion wants you to know that if you sponsor a child in the Philippines (bless you!) they are working closely with the country office to assess the damage and gain communication. You will be updated as soon as possible. If you want to seek more information, a simple Google search will yield countless news videos, reports, pictures, and articles on this natural disaster. Let's take a step back and see that there are greater problems here than our own trivial ones. There is a world outside our own little self-made safety bubbles in this country. We take so much for granted, and we take so much for our own. Many of you may have over-flowing closets (I'll be the first to admit to that) or maybe you are just having trouble getting by. There is a world outside our window waiting for our help and love and care and compassion. Why not just reach out a little? Compassion asks for prayer. Pray without ceasing - no matter what is at stake! Never argue or belittle the power of prayer. Pray for the thousands of children and families who have lost their homes and are in need of food, water, shelter, and medical attention. Pray for their strength and hope in this situation. Pray for those with resources available, giving them the care they so desperately need. Pray for this country hit to be made whole again by Jesus. In times of crisis, many of us tend to overlook the situation. It's not happening to us, right? But it is. We are all human and we are all made whole in Jesus. We are all his people. Let's make a difference by our hearts. If you feel helpless and just want to do something, anything to make a difference in these peoples' lives, see more at the Compassion website, link below. Compassion wants to thank you for your hearts to help, be it in prayer or monetary. All of it is appreciated.